Dynabrade 57575 6" (152 mm) Dia. Wet Dynorbital® Supreme Random Orbital Sander, Deluxe .24 hp, 10,000 RPM, 3/16" (5 mm) Dia. Orbit, Rear Exhaust available from BND Abrasives Ltd! Please call for special prices and availability. Discount available for distributor / resellers! Call 01264354133. 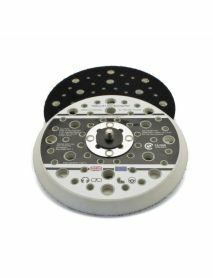 Deluxe model includes 1/4" (6 mm) diameter x 11' (3,353 mm) long water line and 1/4" (6 mm) diameter x 10' (3,048 mm) long air line. Both are neatly contained in 3/4" (19 mm) diameter overhose. Includes adjustable water-feed valves at two locations: one near the water source connection and another at the tool. This allows one valve to be pre-set to your desired flow rate, while the other is utilized as an on/off valve. 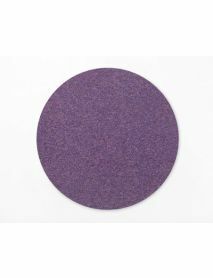 Includes non-vacuum, hook-face, short nap, 3/8" (10 mm) thick sanding pad (54327). 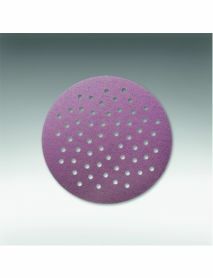 3/16" (5 mm) Diameter Random Orbit for swirl-free finishes.